I was never involved in broadcasting but we got our first TV in time for the Coronation of HM The Queen and I was nearly 12 at the time. The neighbours all came in to watch too. 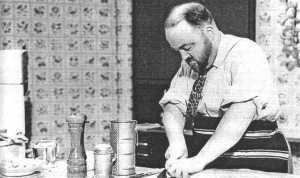 A few years later, I was at a friend's house and we were watching Philip Harben demonstrating cooking chips. When smoke started coming from the back of the telly it took us a while to realise that it was not coming from the chips. The set was smoking!! Later still, we all used to sit glued to t.v. for the Magic Roundabout. By then I was well into my 20s and Dad in his 50s. What a programme. Enchanting!